BOARDING SO NICE, YOU'LL BE JEALOUS OF YOUR PET! ALL THE COMFORTS YOU'D EXPECT FROM THE BEST PET MOTEL AROUND. 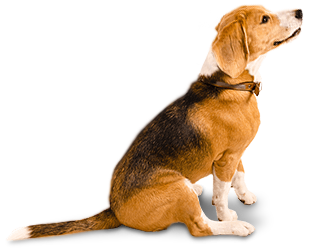 Pet Boarding that's safe and worry-free! Our rooms make your pet feel right at home! We are a pet motel, not a kennel! At Caroline’s Pampered Pet Motel, we’re no kennel. Just the best pet motel around! When it comes to boarding, Caroline’s Pampered Pet Motel is the top destination for your pet. Defining us as a kennel would not do us justice; instead, we are a pet motel where pets of all shapes and sizes can have an enjoyable stay. If you are unfamiliar with what a pet motel is, consider it place where your cat or dog can have a fun vacation experience while you are away. We understand going out of town can be stressful if you have a dog or cat. Bringing them along for the trip can cost extra if you are flying, and road trips with pets are never as easy as they sound. Sometimes it is best to leave them behind, but you can’t just leave them anywhere. After all, they are a part of the family. That’s why we’re here. At Caroline’s Pampered Pet Motel, we offer you peace of mind by providing a safe, professional and knowledgeable place to keep your pet while you are gone. Caroline’s Pampered Pet Motel offers a variety of services so you can rest assured your furry loved one will be in great hands. 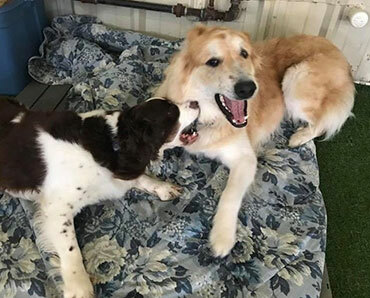 If you need a place to keep your canine friend during the day, our dog daycare is the perfect option. If you are looking for a longer, yet still temporary, option, we’ve got you covered as well. 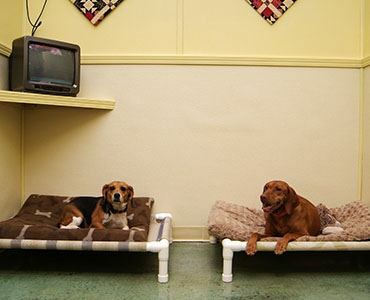 At our pet motel, each pet gets their own heated and air-conditioned room. 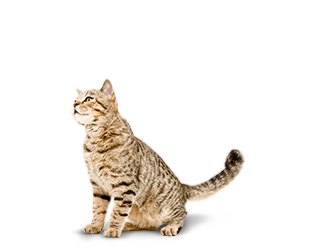 We offer a variety of room sizes, depending on the size of your pet. Every room has more than enough space for your pet to stretch their legs, along with beds, blankets, rugs, music and even a television if your pet prefers it. Our services aren’t limited to the room, though. Caroline’s Pampered Pet Motel offers all-day fun in our play areas, so your furry friends can truly make the most of their vacation. Whether it’s indoor or outdoor, your pet will have more than enough opportunities to run, jump, chew and scratch. 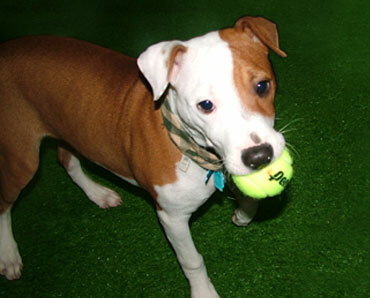 Additionally, you’ll never have to worry about the safety of your pet as they play. All the fencing at Caroline’s Pampered Pet Motel is secure from top to bottom, ensuring your pet stays under our care at all times. Playtime at Caroline’s Pampered Pet Motel also lasts 14.5 hours each day, making sure your pet’s daily exercise routine doesn’t suffer even though they are on vacation. Your pet’s stay will be specifically tailored to their needs, so bring your pet to Caroline’s Pampered Pet Motel and see what all the fun is about! form and give Caroline’s Pampered Pet Motel a call! Offering your pets a high-quality stay, 7 days a week! Play 10 Days in daycare service, get ONE Day FREE! Receive $10 Off, for first time boarders. We have been taking our golden retriever Ripley since she was 4 months old and we couldn't be happier about Caroline's. The staff loves her as if she is their own, and one of the biggest positives, she sleeps very well when she gets home. We definitely recommend Caroline's Pampered Pet Motel. 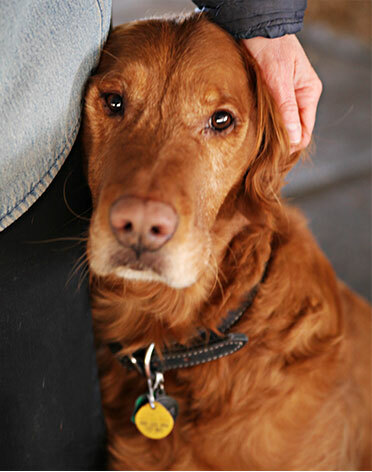 Ripley - Golden Retriever, Jennifer K.
Treat your pet to a 5 Star Vacation!!!! Our two Boston Terriers recently spent 8 days at Caroline's Pampered Pets in Ozark, MO. They loved their experience, and I think that they are anxious for our next trip so that they can return. I would definitely recommend this business. Baxter & Opal - Boston Terriers, Jackie M.
My dog absolutely loves Caroline's. She knows exactly where she is at when we pull down the road to the Motel. They treat her so good and have always been so friendly and helpful. When I leave her I have so much comfort knowing she is somewhere she loves and is being taken care of. I would highly recommend Caroline's. Sophie - Havanese, Johnalene M.
Ever since we took our golden lab, Milo, to Caroline's we have never seen him happier. The service is exceptional and you can tell that the employees really care about your furry friend. Our family highly recommends Caroline's if you need a place for your pet to stay entertained and happy while you are away. Milo - Golden Lab, Carri S.
We can't say enough great things about Caroline's. The girls at Caroline's take great care of the dogs when we are away. Even our 200 pound Mastiff loves the girls at Caroline's. We wouldn't trust our dogs with anyone else, and I would recommend Caroline's to anyone looking for a great place to leave your pups. Sam - Mastiff & Abby - Pointer, Tina S.
We have been taking our Spike to Carolines for about 11/2 years now!! As soon as I say Doggie daycare he knows exactly where he is going!! We love this awesome place and will continue to go every Wednesday!!! Spike - Boxer mix, Marcy V.
KC gets so excited when we pull up to Carolines. She is there 1-2 days a week for day care and it is obvious that they care about her. We used Caroline's several years ago for boarding with our previous older dogs and felt very comfortable with the care that they received. KC - Mini Doodle, Robin T.
Our little guy can't wait to go to here and he loves playing with the other dogs. They are very kind and hospitable. As a plus, our dog smells the best after getting a bath there. Dexter - Golden Retriever, Grant O. The staff at Caroline's are always helpful and ready for my boys when they get dropped off, not always easy with two mastiffs!! The boys are always happy and rested when they come home. Great place for an extended stay or just when you need the dogs gone for company. We have been using Caroline's Pampered Pet Motel for about 10 years now. Our dogs absolutely love it there. I have peace of mind knowing that they are being well taken care of while I'm away, and that helps me to relax. Emma, Wheaton & Zeke - Schnauzers, Kelly M.
Caroline's has been my kennel of choice for my dogs and I and my dogs have nothing but good things to say/bark about this business. All of the staff genuinely love dogs - and that translates to great care. Chico & Zoey - Chihuahuas, Judith E.
Puppy Paradise – My dogs love it. The people know them by name and always give them affection. So much room to play. Wonderful place. Biscuit - Cocker Spaniel & Nugget - Poodle mix, Jim T.
Our dog has been staying at Caroline's for 3 years now. He gets excited when we pull in the parking lot and can't wait to get in the door. When we walk in we always get a warm welcome from the staff. I feel like they take great care of him and I can't imagine leaving him anywhere else. Charlie - Chihuahua mix, Tina W.